Like to yak during a movie? 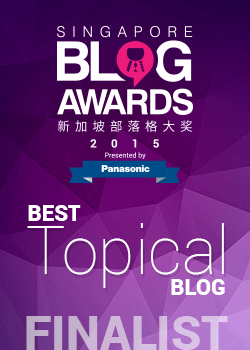 Save it for GV Blogaloud! Have you watched a movie where you wished you could get hold of the director, the actors, or someone who can explain what’s going on? You can, at GV Blogaloud sessions! These are half hour dialogue sessions where you get to interact with film-makers, celebrities, or experts, after the movie has been screened. The best part? The movie tickets are priced the same as normal tickets! The Popping Post got to attend a GV Blogaloud session on Tuesday (June 30), for the latest Singapore film currently showing exclusively in Golden Village cinemas now: Ms J Contemplates Her Decision. Starring acclaimed singer Kit Chan, veteran MediaCorp actress Xiang Yun and voice talent Bobby Tonelli, this 90-minute psycho-thriller is loosely inspired on true events in Singapore. Members of the audience are forced to suspend belief and ask themselves – can our choices always be morally justified? It goes like this: One day, a radio deejay and his guest host receive a strange call. The caller wants to know: Should he kill a prostitute or a loanshark? A definite departure from the regular flow of inane questions, surely. Over the next few days, the anonymous caller continues to badger the guest host of the show, esteemed writer and singer Jo Yang (Kit Chan) – to make her choice. Corrupt politician or overcharging doctor? Her response: Why me? Of course, she arrives at the answer later. A keenly interested audience peppering the director and cast with questions. Director Jason Lai, together with Tonelli, Xiang Yun and supporting actress Seraph Sun, fielded these questions, and more. The next Blogaloud session is for Salinger, a movie about the American author whose best-known work is Catcher In The Rye. This film was released back in 2013 but will only be screened on the big screens in Singapore for the first time on July 19. 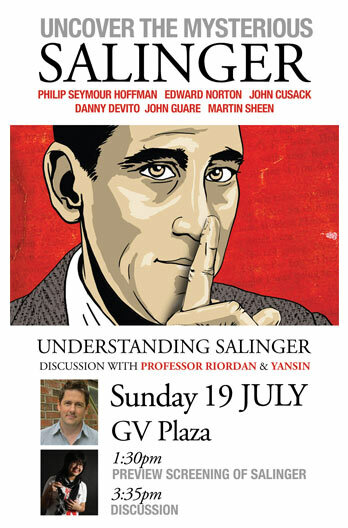 Professor Kevin Riordan, who teaches English at Nanyang Technological University, and Lim Yan Sin, a graduate student who has written a thesis on Salinger, will be happy to have you tap their brains after the movie. Look out for an upcoming article on The Popping Post which discusses five things you never knew about Salinger! In the meantime, Ms J Contemplates Her Choice is still showing at GV.